Willie Walsh, chief executive of International Airlines Group (IAG), has said he is concerned the UK is capable of talking itself in to a recession. Walsh told the ABTA Travel Convention 2011 that he saw "doom and gloom all over the place" when reading a newspaper or watching the television, and added that the risk of "driving ourselves into a recession" was higher than ever before. Walsh stated that his business figures this year were better than 2010, and "significantly" better than 2009. However, he expressed concern about the Government's actions regarding raising the Air Passenger Duty (APD) tax and the treatment of BAA-owned Heathrow Airport. Walsh directly attacked transport secretary Philip Hammond, saying: "He doesn't appear to be interested in transport. He does not look at the impact APD is having on transport, he looks at the impact it is potentially having on the deficit." He added: "The Government is trying to undermine the credibility and the sustainability and the economic importance of Heathrow." Last year, air-travel passenger growth in Europe was more than 4%, with 66.3 million more people flying in Europe last year than in 2009. But the UK suffered the "largest absolute reduction in passengers", a total of 7.4 million, Walsh said. "While Europe as an area was growing, the UK declined by 3.3%." He went on: "What we have is a Government policy that is very negative. We don't have a policy for aviation – we are promised one in 2013." Walsh said the UK Government "needs to set aside their fixation with the revenue that they are generating and try to understand the full economic impact of these high, unsustainable taxes." 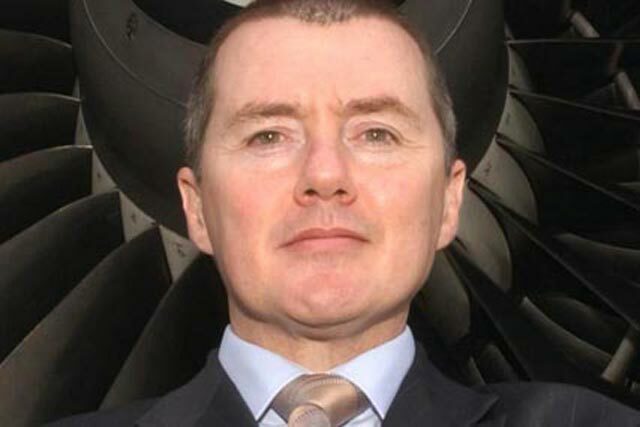 Walsh became the chief executive of IAG at the beginning of this year, following the merger of British Airways, of which he was chief executive, and Spanish airline Iberia. Walsh said IAG had identified "strategic markets" such as Latin America and Asia where it wanted to have a "stronger role".